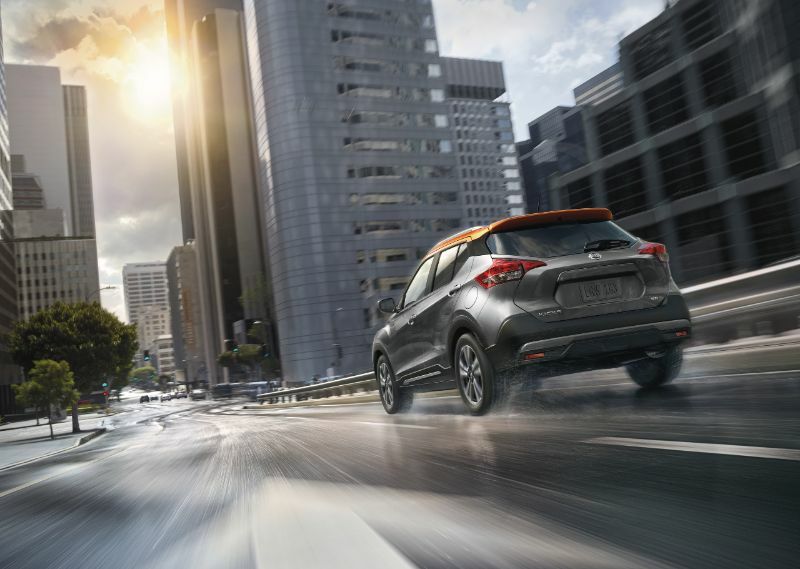 The Nissan Kicks is a highly practical and fun choice when it comes to the subcompact crossover segment. You aren’t getting a sports car with only 125 horsepower under the hood, but you will love its fuel efficiency and nimbleness on the road. The exterior provides a bold design. Inside, the cabin offers both drivers and passengers comfortable seating surrounded by elegant style and high-quality materials, providing enough room for four adults. 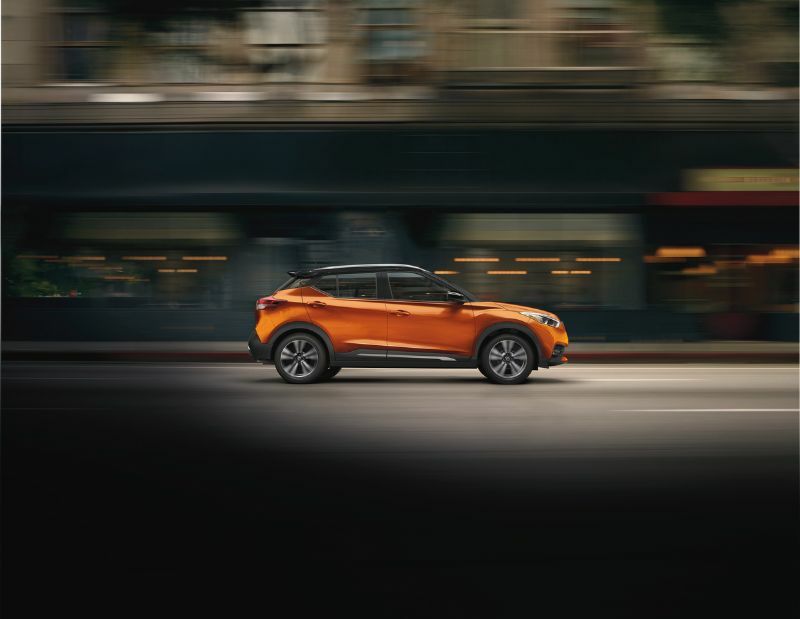 The Nissan Kicks delivers a strong value when placed alongside comparable vehicles. The notable standard features such as touchscreen infotainment, automated emergency braking, and push-button ignition all help it stand out among the competition, particularly with the Kicks’ low starting price. The Nissan Kicks is new to the automaker’s lineup, replacing the Juke as the smallest SUV. You will find fuel efficiency and passenger space top priorities in this vehicle, but discover what else you can expect from the latest Nissan crossover. The Kicks is economical, with the base S trim starting at a little over $19,000. The SV, which is in the mid-range, has Apple CarPlay, 17-inch wheels, a 7.0-inch digital gauge-cluster display, Android Auto, blind-spot monitoring, and more. It comes in a range of exterior color options, including gun metallic gray with an orange roof. There are several accessory packages to choose from, but the Exterior Electronics is the most highly recommended. Kicks crossovers come with four-cylinder, 1.6-liter engines providing 125 horsepower, delivering adequate, fuel-efficient power. The CVT, or continuously variable automatic transmission, drives the front wheels, and the Kicks doesn’t come in an all-wheel-drive model. This nimble SUV can be more fun to handle than larger SUVs, with a suspension that is tuned for comfort. You will find the steering direct, even if you don’t feel all the road’s nooks and crannies. Earning excellent ratings for EPA fuel economy, the Kicks is more comparable to an economy car than an SUV, coming in at 37 mpg. This is on par with the Sentra and Toyota C-HR. Even though the car is economical, you’ll be fueling up regularly with the small 10.8-gallon tank. Though the interior is less trendy than the exterior, it is modern and sleek with sophistication. There is enough room in the rear for adults to be comfortable and still have space for their cargo. If you opt for the leather interior, you’ll have orange stitching to break up all the black and leather trim on your dashboard. 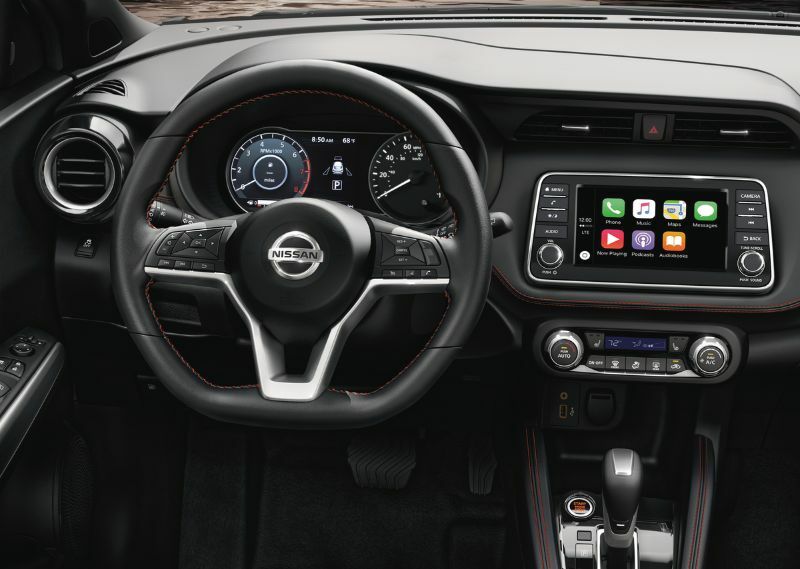 Nissan Connect provides an easy-to-learn and intuitive infotainment interface, giving you access to all of your necessities. All models have a standard 7.0-inch touchscreen, Bluetooth connectivity, a six-speaker audio system, onboard Wi-Fi, and premium audio available. With the seats folded down, you will be surprised at the amount of cargo space you can achieve. 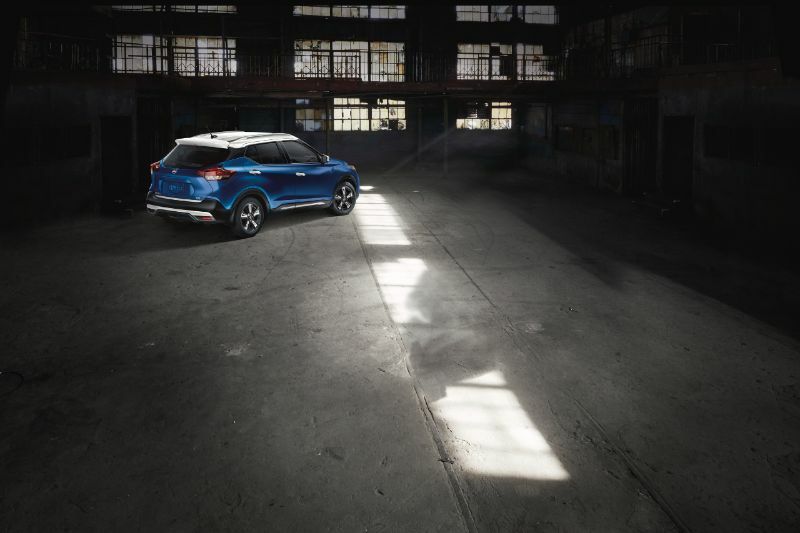 You get automated emergency braking as a standard across all models, and the Kicks passed all its safety tests with flying colors. You will also get standard forward collision warning and available blind-spot monitoring. New purchases come with a limited warranty for 36,000 miles or three years and a powertrain warranty for 60,000 miles or five years.